In parallel with China's growing construction market, there has been an influx of foreign architectural and engineering design firms into the Chinese construction market. Those firms generally form partnerships with local Chinese firms or institutions to overcome various complications in the country. Adding to the complexity, relatively recent technologies such as Building Information Modelling (BIM) also started to play a role in those collaborative project design management efforts in China. This paper presents an in-depth case study of a complex building design project collaboratively executed using BIM by a foreign design firm from the USA and local Chinese firm in China. The project was analysed from different design management and stakeholder perspectives. Some of the findings confirm the pervious accounts from the literature. 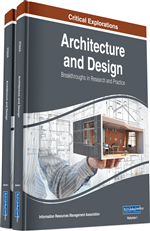 New insights and the key lessons learned for BIM based design management in this context are also presented. China has experienced a rapid economic growth since the early 1980s, averaging an annual economic growth of over 9% in Gross Domestic Product (GDP) since 1978 (NBSPRC, 2015). The construction industry is playing a leading role in this rapid economic growth. The average annual growth rate of the Chinese construction industry is 10.4%, which is higher than that of its GDP, and the industry is presently one of the world’s largest with a total output of 17.67 trillion Yuan (RMB) (2.88 trillion US$) in 2014 (NBSPRC, 2015). In line with this growth, there has also been a rapid influx of the number of Foreign Architectural & Engineering Design Firms (FDFs) penetrating in the Chinese market in the past decade, especially after the country’s entry into World Trade Organization (WTO) in the late 2001. Due to the current complexities of the construction regulations and legal restrictions, many top FDFs entered the Chinese market by means of either project-based collaborations with domestic design institutes/firms or establishing liaison offices (Ling et al., 2005; Xu et al., 2005b; Ling & Low, 2007; Zhao et al., 2012). In China, the design process is divided into the conceptual design, preliminary design and construction documents phases. On the other hand, in Western countries, the design process consists of three main phases: the schematic design phase, design development phase, and construction documents phase (Wang, 2000). In practice, schematic design corresponds to conceptual design and the design development phase is similar to the preliminary design phase in China. However, the contents of design documents in those phases are different, particularly in construction drawings. In China, construction drawings submitted by local design firms are so detailed that contractors can even use them directly for work without having to create their own shop drawings. If there are some drawings similar to the existing “shop drawings”, they are produced only to direct site workers and are not submitted to architects for approval. In contrast to the Chinese practice, construction drawings by foreign designers are often not that detailed and consequently, shop drawings by contractors must obtain architects’ approval. Due to the difference in understanding of the design process and design documentation, in a project that is cooperatively designed with FDFs in China, FDFs normally play a main role in the conceptual design phase or preliminary design phase; whereas the necessary construction documents are completed by local design firms (Xu et al., 2004). In the collaborative execution of projects’ design, if the communication between FDFs and local design firms is not complete and fluent, the inefficient cooperation could lead to negative effects on projects’ time, cost, and even quality targets (Pheng & Leong, 2000; Gale & Luo, 2004).